What Exactly Are Umeboshi Plums? First things first, I am not a doctor and I do not ever claim to be one. I can only share my personal experience in dealing with illness. People ask me all the time what helped me the most in my struggle with Lyme Disease. I did take antibiotics, which were helpful. The thing that pushed me over the hump and helped me to heal the most was Umeboshi Plums. What are they exactly? Umeboshi Plums are pickled plums. They are very salty and should not be eaten whole. They are a regular staple of a macrobiotic diet. They help the body to get back to balance, wherever that balance may be out of whack. Kind of like Pilates for your dinner plate. I did eat a macrobiotic diet as much as I could also, but once I made the plums a regular thing I got better. How do you use Uemboshi Plums? Umeboshi Plums are great for so many things, from headaches to hangovers. I learned from my friend who showed me the Kushi Institute book protocol on how to use the plums for Lyme Disease. You want to take a pinch the size of your pinky nail and start there. You can eat it as is, put it in tea, or put it in rice or another grain. They taste very salty but you will get used to it. Just every few days at first and then build up to every day, then if your body is ok with it you can increase the amount. BUT DO NOT EVER EAT A WHOLE ONE! SERIOUSLY. More is NOT better with Umeboshi Plums. You want to proceed with caution because they can send you into a healing crisis if you eat a whole one. People have not listened to that part and regretted it later. So please, please start small. If you want to be extra careful you can even rub a tiny bit on your skin to see how it reacts. There is also Umeboshi Plum Paste and Umeboshi Plum Vinegar. Try to get the plums and not the paste. The paste is more concentrated so if that is the only option use less. The vinegar is fantastic on steamed vegetables but let your body get used to the plums before trying that. 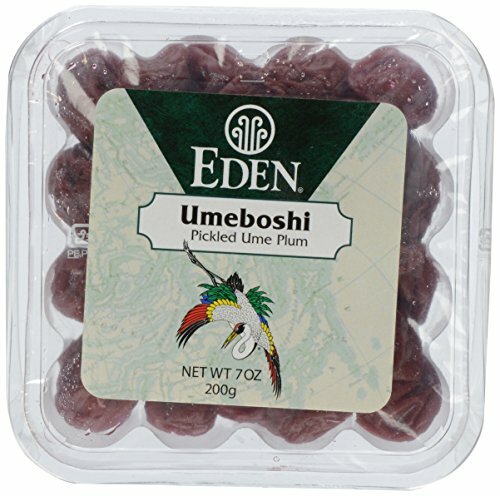 Where do you buy Umeboshi Plums? You can get them shipped directly to your house with this affiliate link from Amazon! Or in the Asian Foods section of Whole Foods. I hope this is as helpful to you as it has been to myself and many others! My mom used to get sick all the time, as a teacher and run out of sick days. We were both very good at having our little piece of plum everyday for her first semester of school one fall. Her school was almost shut down due to everyone having the flu but she did not get sick at all! This little thing might be salty but it works! Check Out Marilu Henner and Mike Brown on Live with Megyn Kelly Today! Local Author Meet & Greet THIS Friday!